Select your token and advance to Mediterranean Avenue to construct a glittering new Hotel that produces FREE coins for you every day. 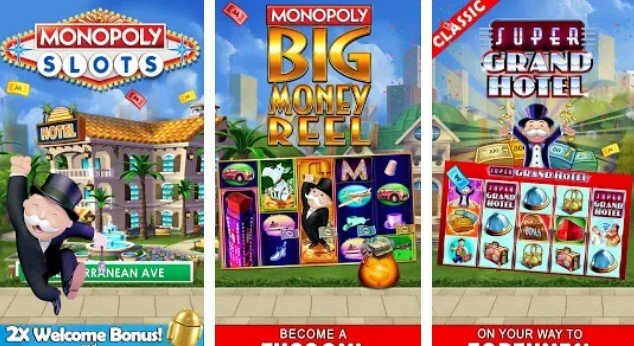 Develop each block of MONOPOLY City, to earn new tokens, meet interesting characters, unlock special bonuses, and most important of all: win INCREDIBLE COIN PAYOUTS on authentic MONOPOLY slot machines by WMS that we pulled straight off of the casino floor and put onto your mobile device! 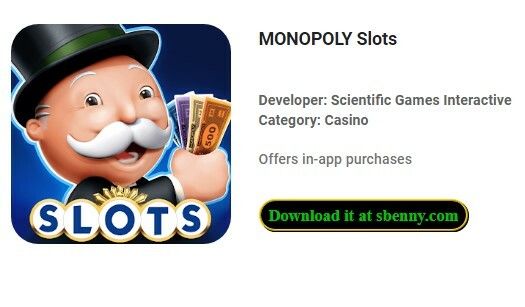 Download now the MODAPK of MONOPOLY Slots for free, only at sbenny.com! This release is inside the VIP area, where VIP members can download this game without paying any SB Cash. If you're not yet a VIP member, read: How to become a VIP? You need to be a VIP member to reply or like content in this section. Upgrade now to VIP, click here!